Legal pot brownies: delicious or pernicious? 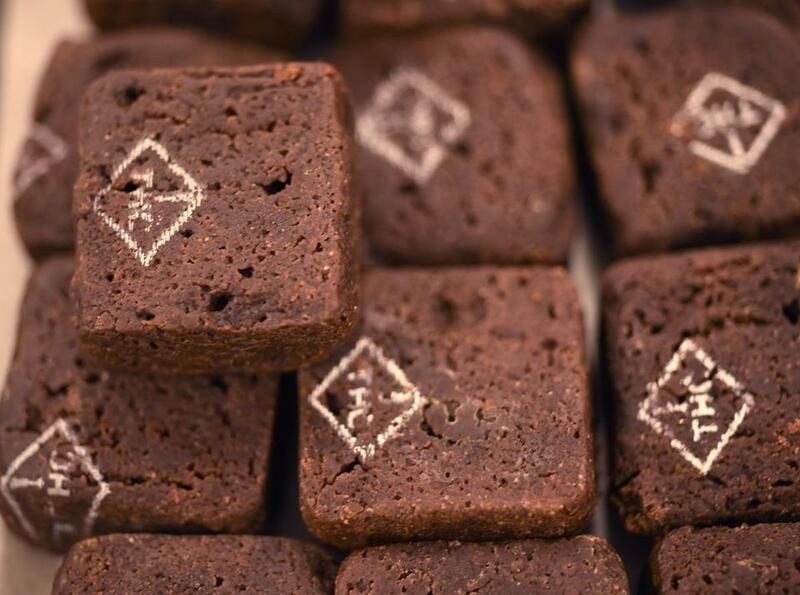 Zoots brownies with a printed THC stamp at the Zoots marijuana edibles production facility in Denver. DENVER — The plant’s imposing metal gate is unmarked. There are bars on the windows. But walk inside, and you’ll find a gleaming, nearly antiseptic factory, where bakers and candy-makers are mixing up treats right out of a stoner’s cookbook. Everything they manufacture is infused with THC, the main psychoactive chemical in marijuana. As Massachusetts and four other states consider legalizing recreational marijuana this fall, cannabis for smoking is only part of the equation. Edibles, a big part of the billion-dollar legal marijuana industry in Colorado, are increasingly at the center of the contentious national debate. Opponents of legalization warn that the sodas and candies are at once enticing and dangerous to children, and indistinguishable from their non-cannabis counterparts. But industry executives say properly regulated edibles are safe and are easier to take in small doses than smoking, so customers can get a buzz similar to that from a glass of wine. And the market for such products is sizable. Depending on who is doing the estimating, edibles make up between a quarter and a half of the retail marijuana market in Colorado. A city councilor wants to give historically disadvantaged persons priority in marijuana licensing — if it passes in November. Zoots products are made by one of more than 200 retail marijuana manufacturers in Colorado, where recreational sale has been legal since 2014. The brand wants its wares to be the social lubricant of choice for young professionals. Its marketing emphasizes athletic 20-somethings splashing through mud in a race, a far cry from the stoner-caked-in-Doritos-dust image of getting high. “If you can control the dosage, you can dial in a really pleasant experience,” said Todd Kopet, president of a company involved in making Zoots in Colorado, as he showed off the Denver factory. 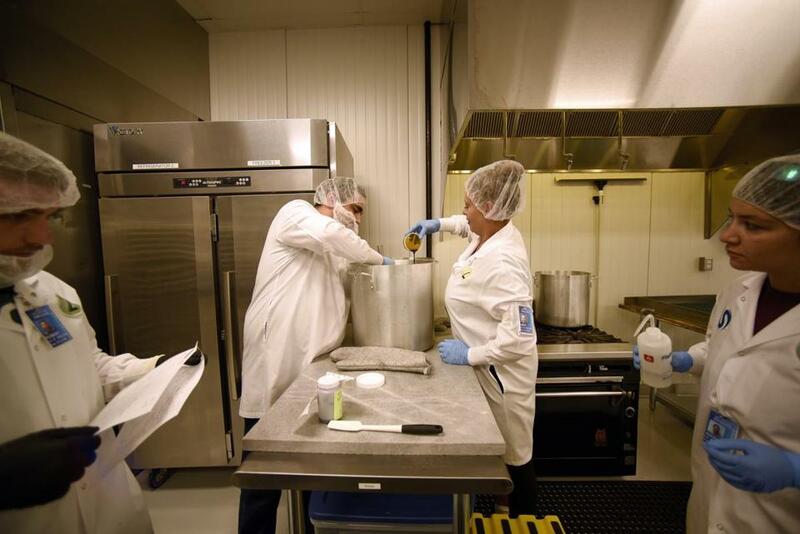 Production lead John Decker stirred as Mary Sanchez added THC to the Zoots candy nuggets mix at the Zoots marijuana edibles production facility in Denver. But opponents have a darker vision of edibles. And, opponents warn, edibles are also dangerous for adults, who may consume too much and, in rare cases, suffer from psychotic breaks. In all four states where voters have legalized recreational marijuana for adults — Colorado, Washington, Oregon, and Alaska — edibles are legal, but they exist under different regulatory frameworks. If Massachusetts voters back the Nov. 8 legalization referendum, regulation of edibles would fall to a new oversight body, the Cannabis Control Commission, appointed by the state treasurer. Appointees would have their hands full. Andrew Freedman, the director of marijuana coordination in Colorado, said edibles pose three main challenges. First: accidental ingestion of cookies, candies, and the like by children, adults — and even pets — who can’t distinguish between, say, a regular cookie and a marijuana cookie. He said Colorado has worked to address this issue by mandating that all edibles be sold in resealable child-resistant containers. And, starting next month, every individual serving of a candy or cookie must be imprinted with a warning symbol that includes an exclamation point and the letters THC. That’s meant to help teachers, cops, and everyone else spot the difference between a normal breath-freshening mint and one packed with pot. 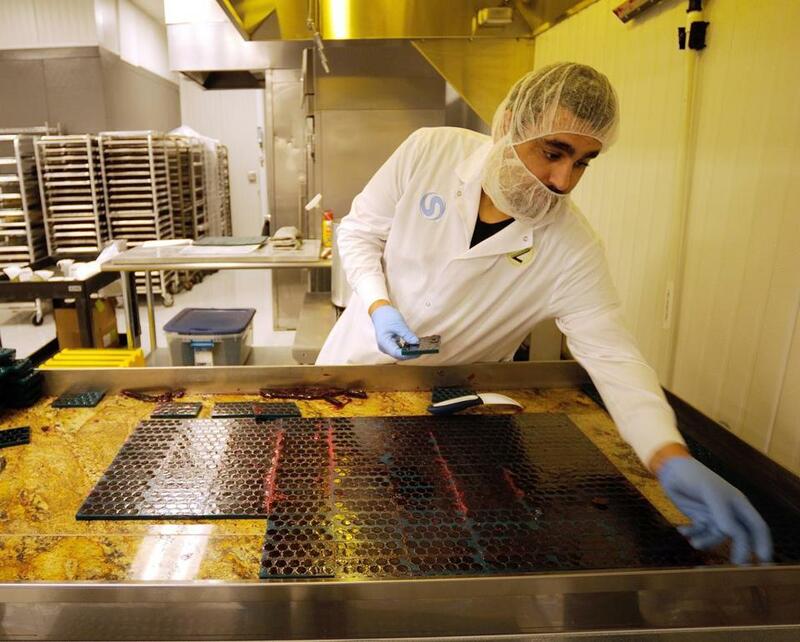 Production lead John Decker removed candy molds filled with finished nuggets at the Zoots marijuana edibles production facility in Denver. The second challenge of edibles, Freedman said, is that they may densensitize youth to the dangers of marijuana by having the drug be infused in familiar-looking sweets. The Colorado Legislature recently enacted a law that will prohibit the sale of edibles in the distinct shape of an animal, fruit, or human. And, Freedman said, manufacturers have gotten the message and are moving toward Godiva-like concoctions and away from candy that looks like gummy bears. But the third challenge of edibles is the most difficult: people’s delayed reactions to high-potency products. Colorado mandates that each serving of edible products be clearly demarked and contain no more than 10 miligrams of THC. And budtenders — the term of art for clerks at retail stores — are trained to tell new customers to go slow, start with a single serving or less, and wait at least two hours before eating more. But consumers don’t always follow the guidelines — and some then end up having uncomfortably high experiences, sometimes so much so that they land in a local emergency room. Freedman also emphasized that the number of people hospitalized for marijuana overdoses is a small fraction of the number hospitalized for alcohol-related issues. 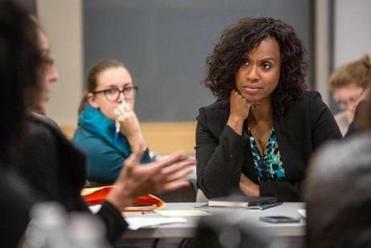 Given the complexities of edibles, some legalization opponents argue that if voters in Massachusetts legalize marijuana, the state should ban the sale of any edibles that are particularly appealing to youth. But such a restriction could severely undermine the market. Joe Hodas, chief marketing officer for Dixie Brands, one of Colorado’s biggest edibles manufacturers, said the negative issues with cannabis-infused food, drink, and pills are rare and can be dealt with through common-sense regulation, smart education, and adults storing the products smartly. And Hodas strongly rejects the accusation that his industry is targeting kids. At a facility that produces THC-infused Chocolate Cherry Pretzel bars, Tootsie Roll-like cannabis chocolate rolls, and sodas in flavors like watermelon cream and old fashioned sarsaparilla, Hodas said just because a product is great-tasting and kids happen to like it does not mean it is targeted at anyone under 21. Cannabis-infused concentrate on display at the Zoots marijuana edibles production facility in Denver. Hodas ticked through edibles’ positives. He argued they’re a safer way to use marijuana — digesting THC “rather than inhaling burning plant matter into your lungs.” Given that manufacturers like Dixie have created mechanisms to get an exact amount of THC in each serving, he said, it’s easier for consumers to get a specific dose than puffing on a joint. Finally, he said, edibles exist with or without a regulated market. Pot brownies, after all, pre-date Colorado’s legalization vote by decades. Hodas argues it’s better to have them rigorously crafted by safety-minded companies than cooked up in the black market. Freedman, Colorado’s marijuana czar, said that, as with alcohol, there will always be a harm associated with edibles, but smart regulation can temper that harm. Asked his advice for a state mulling whether or not to allow edibles, he thought carefully before answering, noting there are several thornier public policy issues.